How much is Keiichiro Takahara Worth? 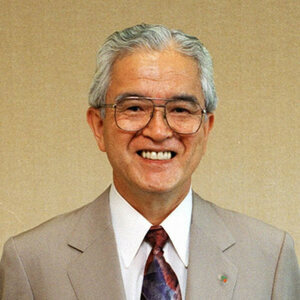 Keiichiro Takahara net worth: Keiichiro Takahara is a Japanese billionaire who has a net worth of $3.3 billion. Keiichiro Takahara is the chairman and founder of Unicharm Corporation, a maker of diapers, sanitary napkins, cosmetic products, household products, pet care products, food-packaging and industrial materials. Takahara's son, Takahisa, currently serves as company's CEO, a position he has held since 2001. Due to Japan's aging population, the company's sale of adult diapers exceed that for babies for the first time in 2012. The same year Unicharm saw its stock price grow, thanks in part to massive sales particularly in China and India. Apart from moving it's operations in other parts of Asia like Indonesia, Korea, Taiwan, Thailand, Vietnam and China; Unicharm operates subsidiaries in Russia and India, and also has a diaper plant in Egypt, as well as a successful joint venture with Sumitomo's US based pet business, Hartz. In addition to making money, Takahara's company supports the global initiative to reduce poverty called Business Call to Action (BCTA), bringing affordable diapers and sanitary products to 36 million low-income women in the Middle East/North Africa and Asian regions.